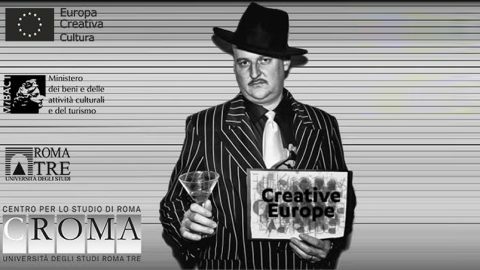 After the success of last year returns NO PARTNER, NO PARTY Vol 2, infoday of the Creative Europe Desk Italy – Cultural Office dedicated to cooperation projects of Creative Europe. If you want to know live the leading actors of the last call on cooperation projects, NO PARTNER, NO PARTY Vol 2 does even more for you, because there will be two special guests for the small scale and for the large scale ones. NO PARTNER, NO PARTY Vol 2, organized by Creative Europe Desk Italy – Culture Office – MiBACT in collaboration CROMA – Centro di Ateneo per lo studio di Roma Università degli Studi Roma Tre, this year will be hosted in the Aula Magna of Rettorato dell’Università degli Studi Roma Tre from 9:30 to 13:15. It starts at 10 am with institutional greetings of Roma Tre University and introduction by Leila Nista, Project Manager of the Creative Europe Desk Italy – Cultural Office. Marzia Santone, Project Officer of Creative Europe Desk Italia – Ufficio Cultura will present the long-awaited call 2016 on European cooperation projects, starting with objectives, priorities, eForms and concluding with the budget form. This year there are also two special guests: Carlotta Garlanda or the cooperation project on a small scale Fabulamundi Playwriting Europe 2015 – 2016 and Gianluca del Gobbo for the cooperation project on a large scale LPM 2015 > 2018 – Live Performers Meeting. The infoday is free and is open to all operators in the cultural and creative sector who are working on a project for the call 2016 on cooperation projects and to those who cannot participate this year, very welcome too. The cooperation projects are based on networking and foresees activities for cooperation between at least three different countries to achieve five priorities: transnational mobility, audience development and capacity building of the cultural and creative sector in terms of digitalization, creation of new cultural business models, skills improvement. The deadline for the call in 2016 is scheduled for October 7, 2015. If you miss it, do not worry, because the call has a cyclical frequency and will be published every year in July for the whole duration of the Program: objectives and priorities not will undergo major changes. Online registration through reserved area @CreativeSpace subject to availability open until 13:00 of September, 8th. #nopartnernoparty is the official hashtag of the event. Here the program.